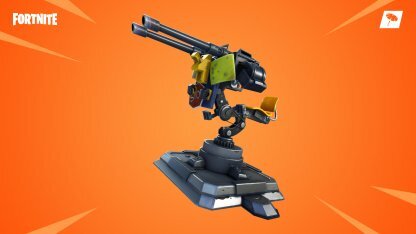 Check out the Mounted Turret - the latest trap weapon item in Fortnite Battle Royale! 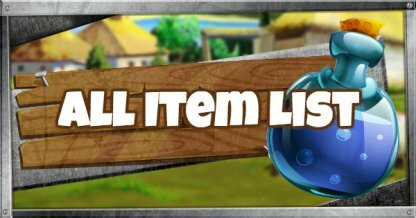 Get stats, damage, tips, and techniques right here! 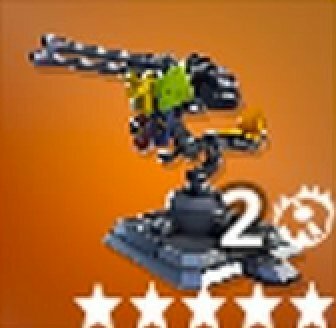 Keep enemies from approaching with the new item Mounted Turret! Make sure to keep an eye out for overheating so you don't end up a sitting duck! 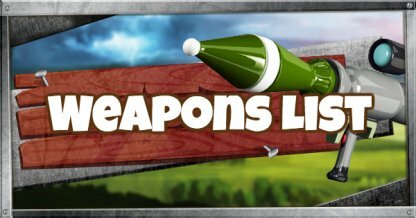 Deployable stationary gun with unlimited ammo, but can overheat when fired continuously. The only place you can deploy the Mounted Turret is on Floors. If may be necessary to build a floor if the area where you want to place it is sloped. 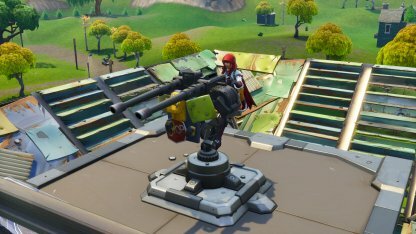 The Mounted Turret is able to provide suppressive fire so this means that it has a high rate of fire similar to that of the Minigun. Firing for an extended period of time will cause the Mounted Turret to overheat and disabling it until it has cooled down. Given that the Mounted Turret will be stationary, it's essential to have players watching your back to avoid getting ambushed from your blind side. Make sure that you have hard cover made of stone or metal on your blindsides to prevent sudden sniper attacks. This will also to buy you time to react or escape. The Mounted Turret will be most useful when you have the high ground advantage during end game. Use it to take down enemies who attempt to climb us to attack you.